Summertime means that it's time to party at your nearest lake or ocean with your fellow Parrotheads. 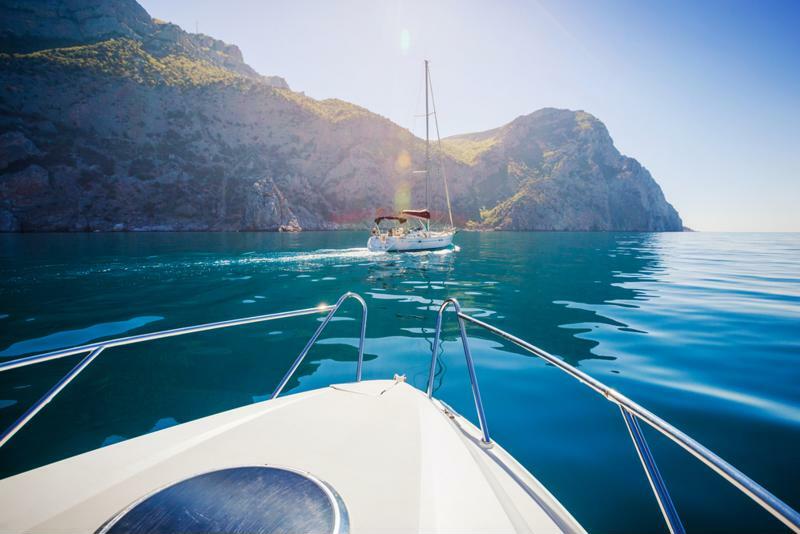 While many stick to the beach and watch the waves roll in, consider renting, chartering or buying a boat to enjoy the summer sun out on the water. To make your vessel a true party boat, you'll need to outfit it with a stocked bar. Unlike your home bar, you can't fill this one with every type of liquor. Space on a boat is at a premium, so it's important to pack small and smart. Here are the essentials you'll need out on the water. The most important part to any party boat is a margarita maker. Just plug these party machine in and your boat bar is halfway to completion. Use this ice-shaving, drink-mixing all-in-one machine to blend up tasty margaritas, piña coladas, daiquiris and anything else you can think of to keep your guests cool while they enjoy the water. In addition to your margarita machine, make sure you bring coolers with ice. Take any small specialty tools you may need as well, such as a paring knife for cutting fruit, stirrers or shot glasses for measurement. Take your Parrothead friends out on the water for a fun summer celebration. The most important part of any bar is the liquor. While at home you can get any type of liquor you want, you only need to the bring the essentials with you on a boat. Think about the drinks you want to serve and bring those. The most important spirits for your boat are tequila, rum and vodka as well as any liqueurs you need to make you frozen cocktails, such are citrus liqueur for margaritas. Consider bringing your alcohol in sealable plastic bottles to avoid glass breaking if the boat moves. "The most important spirits for your boat are tequila, rum and vodka." Like with the alcohol, you can only bring a few mixers with you. Make sure you have orange and lime juice for margaritas, cream of coconut and pineapple juice for piña coladas, and frozen strawberries and mix for daiquiris. Additionally, bring some simple syrup, grenadine and other juice or soda to make customer drinks for your guests. Just like with the liquor bottles, you might not want to bring actual glassware onto the boat deck or else you may end up with a cut foot. Instead, look for reusable plastic cups that have the same shape as hurricane, margarita or wine glasses. Use fun stickers or markers to identify each person's drink from one another to avoid confusion and add more fun. For garnishes, make sure you bring plenty of fruit. Limes, cherries, pineapple and strawberries are all necessities. Additionally, consider bring umbrellas, plastic swords or nautically themed garnish trinkets to make your boat bar more fun. Winter's behind us and blue-sky days are before us, so it's time to get out there and savor the sunshine. It's springtime, which means you need to whip up one one of these four delicious limoncello-based frozen concoctions. Turn your favorite classic gin and tonic cocktail into a delicious frozen concoction.